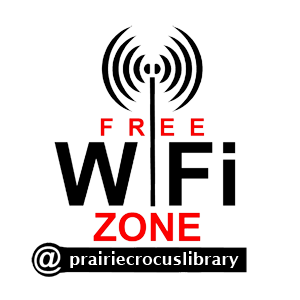 The purpose of the Prairie Crocus Regional Library, a non-profit organization is to provide effective, fiscally responsible library services to the community and to welcome and support all people in their enjoyment of reading and lifelong learning. To provide equal access to information, ideas and knowledge through books, programs and other resources to enlighten and enrich personal lives. To provide technological infrastructure to our customers with enhanced local and global communications and resources. To uphold the principles of intellectual freedom as described in the Canadian Library Association Statement that is flexible and responsive to the changing needs of our community. Click here to fill out a survey to let us know what you like and dislike about our services.